‘Ag-gag’ laws prohibit individuals, including animal rights activists, from filming or photographing animal agricultural practices on farms and in slaughterhouses. The laws are supposed protect our agricultural industry, but their practical effect is to inhibit the exposure of animal cruelty and thereby enable big farming operations to treat animals as they please. For many, it’s hard to believe that such laws even exist in modern day Australia. Originating in the United States in 2012, ag-gag laws have now been enacted in six of that nation’s states. The laws initially targeted the filming of animal cruelty, but evolved to include people who misrepresented themselves on job applications to investigate the industry from the inside. 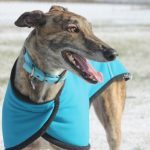 The laws even require investigators to turn over animal cruelty footage almost immediately, in order to prevent patterns of abuse from being documented. Former Liberal Senator Chris Back introduced the Criminal Code Amendment (Animal Protection) Bill into federal parliament in February 2015. Despite its name, the proposal exemplified ag-gag. 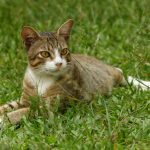 It sought to require individuals who recorded animal cruelty to report it to authorities within a day or be liable for a fine of $5,000. 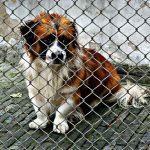 At that point, any private investigation would come to a halt as the relevant authorities – the police or the RSPCA – would take over. This backbencher Bill garnered little support in federal parliament. Meanwhile in NSW, a piece of legislation regarding agricultural disease control was passed that was ag-gag in disguise. Introduced into parliament by NSW minister for primary industries, Niall Blair, the Biosecurity Act was passed through state parliament in September 2015. 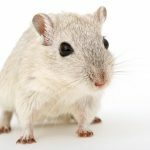 The Bill ostensibly sought to implement framework to manage threats from “pests, diseases, contaminants and other biosecurity matter.” However, a closer look at the definition of a “biosecurity matter” “carrier” reveals the law’s true intention. This broad definition can include an activist, film equipment, or even video footage itself. The legislation also imposes a general biosecurity duty upon all individuals. This means that if someone is aware of a biosecurity risk, he or she must take steps to ensure it’s prevented. Failure to do so means they have committed an offence. Under the seizure powers of the Act, “any footage obtained is able to be confiscated without a search warrant if it’s on a commercial premises,” Mr Agland told Sydney Criminal Lawyers®. Authorities can therefore enter a media outlet and seize any footage they’ve been provided with. Prior to the Bill being tabled in parliament, minister Blair openly stated that the Act would be used to target animal welfare activists. He also said that he hoped the provisions of the Act would be rolled out nationally. According to Agland, a lot of the regulations surrounding the Bill are in the consultation stage, and still being drafted. He also outlined that a new Department of Primary Industry enforcement agency would come into play with a “broad range of powers” provided by the Act. 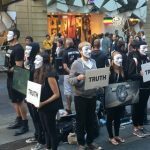 Over recent months, the Anonymous for the Voiceless group have been holding animal cruelty demonstrations in Sydney’s Pitt Street Mall. The silent protesters hold screens playing a clip called Thousand Eyes, which depicts barbaric animal agricultural practices in NSW and Victoria. Chris Delforce is the animal rights activist who filmed the footage. Mr Delforce’s Adelaide home was raided in June 2015 by a joint SA and NSW police investigation into the footage he allegedly obtained by trespassing at rural piggeries. All his video equipment and footage was seized. The activist has received four charges under section 8 of the NSW Surveillance Devices Act 2007 for using an optical surveillance device to record an activity without consent. And six charges under section 11 of the Act for publishing material obtained. Delforce is yet to go before the courts. 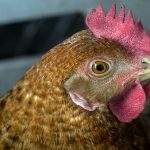 Mr Agland said Delforce’s case, and others like it, led authorities to legislate for the tighter controls provided by the Biosecurity Act to prevent the public seeing material that exposes the industry’s cruel practices. “Essentially, what they want to stop is the footage getting out there,” he said. The AJP has tabled legislation before parliament that would make the ag-gag provisions of the Biosecurity Act obsolete, as the Bill provides for mandatory CCTV cameras and remote monitoring for the state’s intensive farms and slaughterhouses. NSW AJP MLC Mark Pearson tabled the Prevention of Cruelty to Animals Amendment (Stock Animals) Bill in October 2015. Along with the monitoring, the Bill also provides that a fire sprinkler and an alarm system to be installed in all livestock keeping facilities. The goal of the AJP is to bring their revised Bill up for the vote by the end of the year, depending on the negotiation stage. Agland said there’s a possibility for amendments to be made. However, “we’ve got our line in the sand, where we’re not going to budge,” he concluded. Should the Inhumane Slaughter of Animals Be Outlawed?